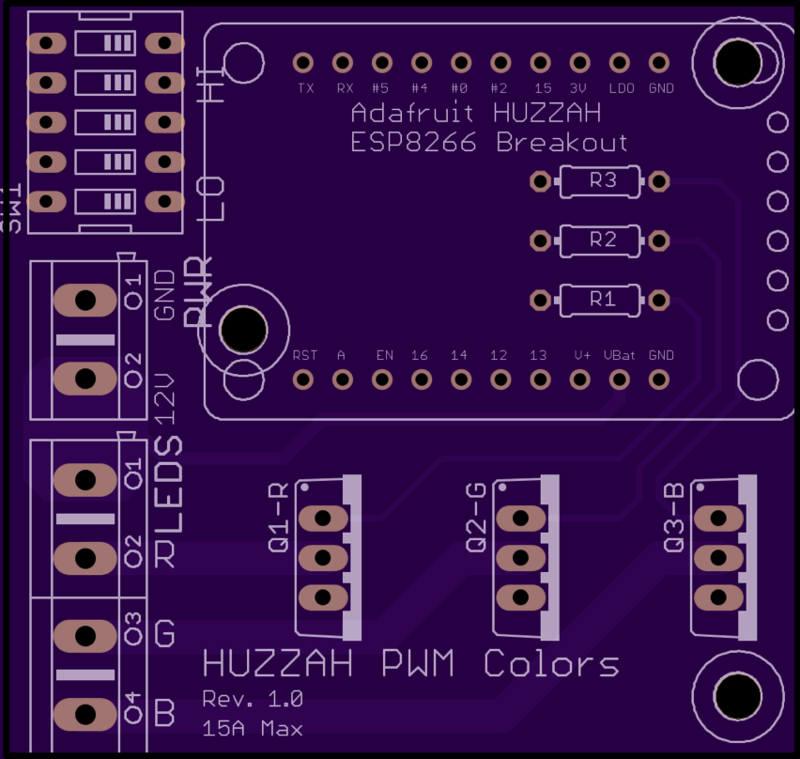 PWM for analog LED strips controlled by HUZZAH « Adafruit Industries – Makers, hackers, artists, designers and engineers! Get it here! And don’t forget to pick up a HUZZAH.